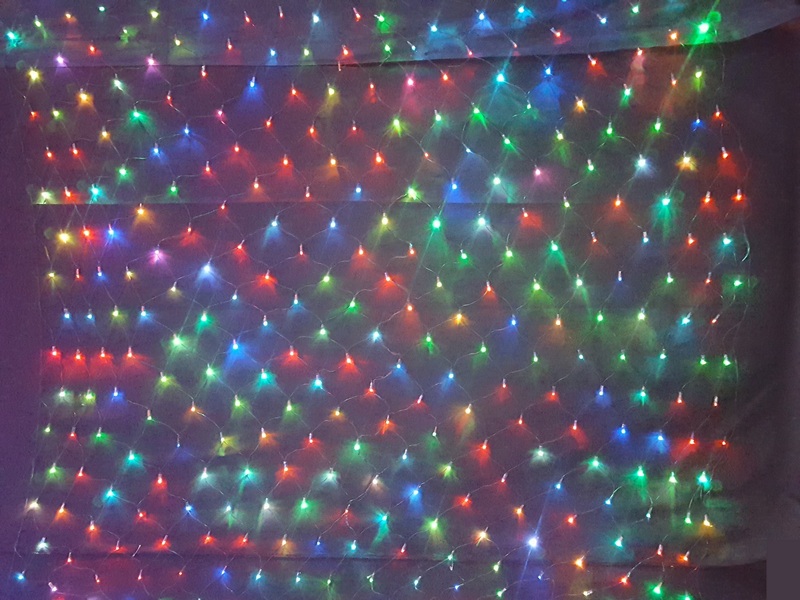 23cm Multi coloured flashing ball with 200 powered LED lights. 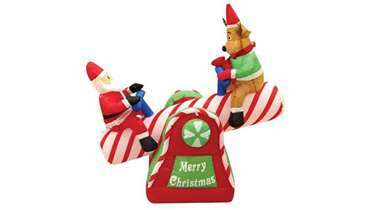 It has an 8 function controller to give it different flashing effects or can remain steady. This ball looks absolutely amazing. 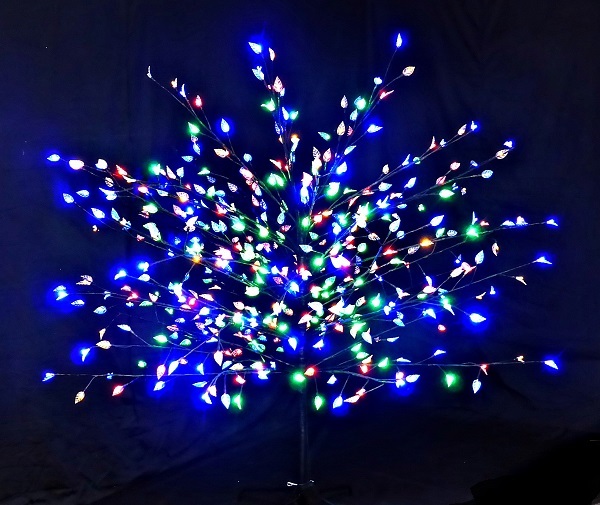 Each LED light is shaped as a flower. 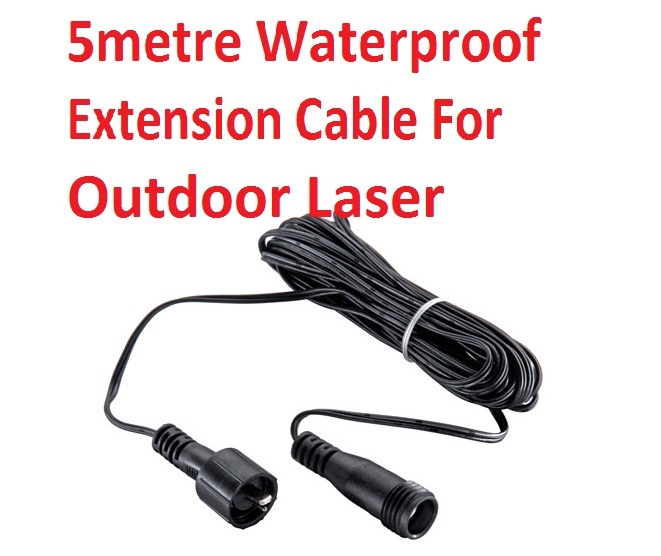 With 5m power cord. Indoor/outdoor. 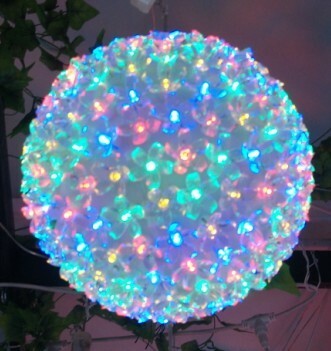 This flashing ball is also available in blue and white and blue and green. This Item will be back in stock early November 2013. Pre-purchase now and save 15% Customers will not be charged until items are in stock and ready for shipping.